Show cooking of typical Croatian cuisine using only the freshest ingredients. 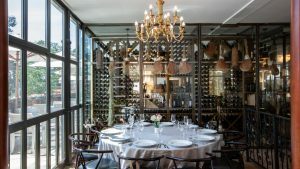 You can enjoy traditional meals cooked up for you every week evening, as well as our famous homemade bread and Croatian wine menu. And live music on Fridays and Saturdays generates a vibrant atmosphere to help you catch the weekend vibe. Take a gourmet journey of Croatia – there’s not a chance you’ll leave hungry. 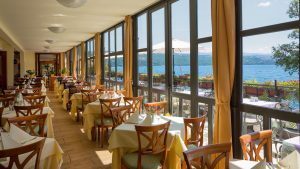 Restaurant Camellia offers original recipes, fresh and wholesome ingredients, our famous homemade bread and a broad Croatian wine menu. You can enjoy traditional meals cooked up for you every week evening. We’re famous for our endless buffets, with food as far as the eye can see. Our breakfast variety is huge. Expect all your favourite classics, from Continental to Mediterranean and more. Evening buffets are also an excellent option, serving up all the delicious and authentic food you can eat, from entrees to the dessert bar. Every Friday and Saturday live music generates a vibrant atmosphere to help you catch the weekend vibe.